New pizza shop 800 Degrees Neapolitan Pizzeria, with a make-your-own, assembly-line style, is coming to Evanston next month. The restaurant is opening on Oct. 9 at 812 Church St.
A new assembly-line pizza restaurant will open next month in Evanston, the chain’s first midwestern location. Establishing its 10th branch worldwide, 800 Degrees Neapolitan Pizza will open at 812 Church St. on Oct. 9 and will offer customers full customization of their pizzas with a variety of crusts, toppings and cheeses. Originally established in Southern California, 800 Degrees offers a selection of other food items such as gelato. 800 Degrees initially launched in Westwood, California, which is home to the University of California, Los Angeles, and currently operates both in the U.S. as well as internationally in Japan and Dubai. Established in 2012, the franchise is credited with the start of the assembly-line pizza concept, the company said in a news release. The restaurant specializes in Neapolitan pizza, which is characterized by its short cooking time, Carron said. Carron said 800 Degrees has a “democratic concept” that accommodates dates or business lunches. However, he said his restaurant differs from Blaze Pizza at 1737 Sherman Ave., which has a similar build-your-own assembly-line format. “The restaurant itself is really different, and it looks like fine dining with marble counters,” he said. The restaurant offers daily half-off discounts on pre-selected pizzas, as advertised through social platforms such as Facebook and Instagram. 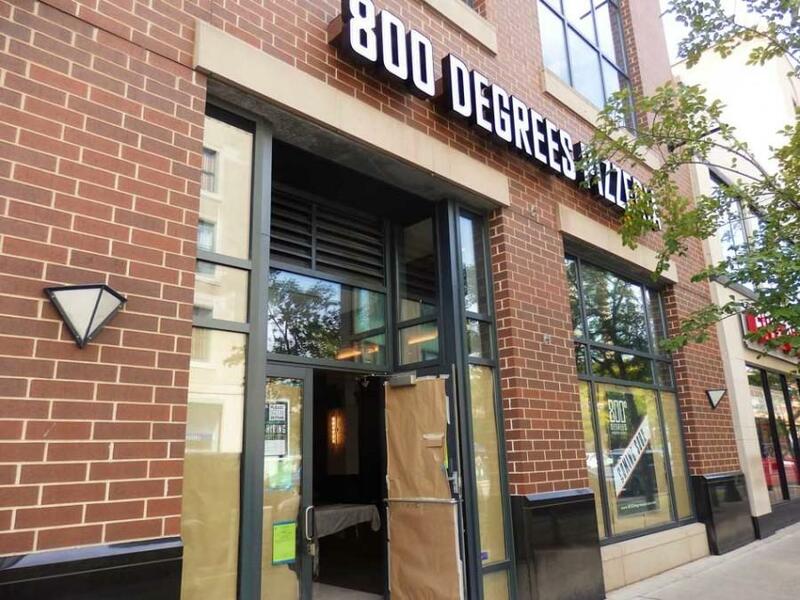 Paul Zalmezak, an economic development official, told The Daily that 800 Degrees and the fast-casual restaurant industry is a good fit for the atmosphere in downtown Evanston.